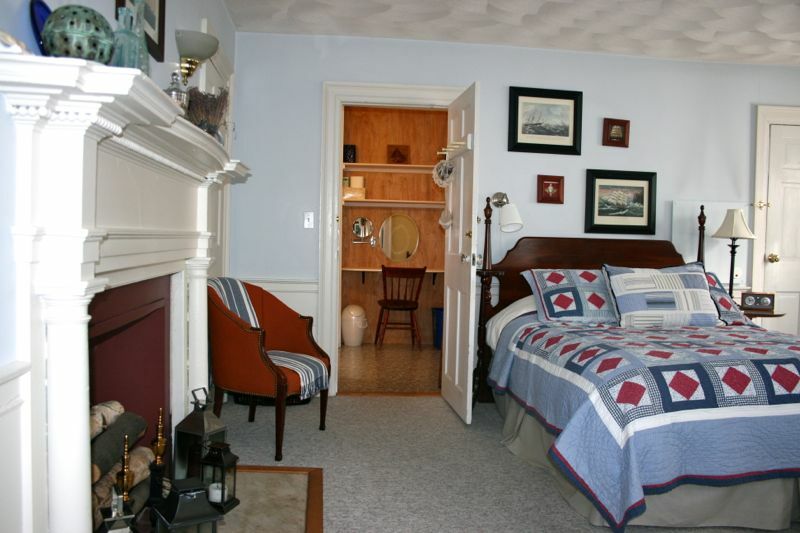 The Captain’s Quarters is a spacious room on the 2nd (Main) floor of the inn. It features a nautical theme with old schooner sailing prints, seashells and other period prints. 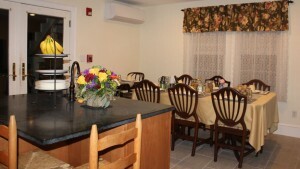 It was the very first room that was opened to welcome guests in 2002. Later renovations divided the first floor apt into two separate rooms and suite. The Garden room was added in 2005. 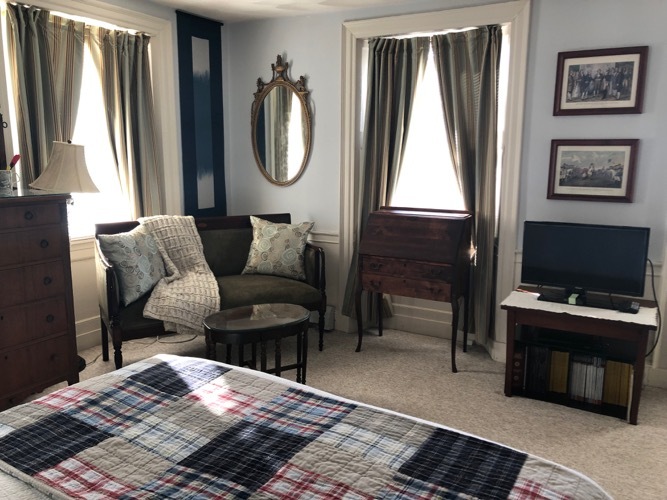 It is one of three Bed and breakfast rooms in the Salem – Marblehead, MA area. There are many little nods to the sea faring Captain, Isaiah Woodbury, who for a time occupied the house with his wife, Suzanna Appleton, who was born in the house and their 2 sons. The fireplace is the original 1800’s molding with beaded details and a marble slab (non-working, but well stocked with candles & hurricane lanterns). The settee and coffee table is a nod to the fine Cabinet Maker, Nathaniel Appleton, for whom the house was built. He crafted museum quality pieces of furniture in the early 1800’s. The large en-suite private bath has a tub/shower combination, shelving and a white washed vanity. The shower has a pull-out handheld massaging shower head. 100% cotton towels, hair dryer and toiletries are provided. The closet is equipped with iron & board, extra towels, pillows, & blankets. 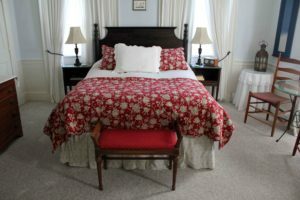 Accommodations include a queen bed, antique nightstand, settee, coffee table, drop leaf desk, and 5 drawer chest of drawers. 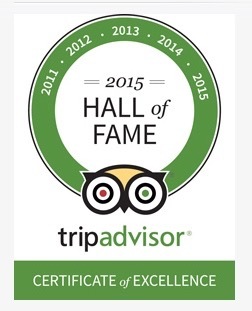 We use only hotel quality premium down and 100% cotton & down bedding. Hypo-allergenic beddings are available and can be arranged with notice. There is a Nest learning thermostat right outside the room which controls the entire floor. Guests can turn it up or down to adjust for comfort. 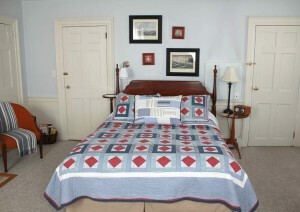 The room has an additional safe, soft radiant heat, low wattage wall mounted supplemental heater for guests comfort.